Safety, reliability and satisfactory performance of structures require a well-planned maintenance program, as well as remedial actions in short and mid-term. Existing structures that are designed in accordance with older design codes or were built by older construction practices may need to be extensively repaired, rehabilitated, or replaced within the next few years. The remedial actions may include structural and/or foundation upgrade or replacement. Reuse of existing piles and foundations is a sustainable, cost-effective, and time saving solution in the repair or replacement of existing poor infrastructure. In this article, we will briefly discuss how NDT can provide useful information about existing piles and deep foundations. 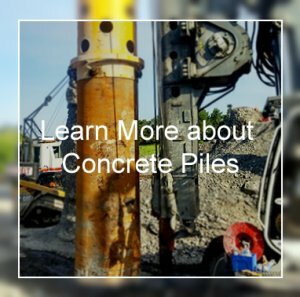 When it comes to choose between replacing existing piles, or reusing them for the new in the project, certain questions should be asked. Does the capacity of existing piles meet the requirements of new projects? Or, what would be the consequences of removing existing piles? For some projects, replace existing piles and foundations is a challenging task in terms of project timelines, technical issues and budget. A great example is replacement of existing substructures in urban areas, surrounded by high-rise buildings and infrastructure facilities. 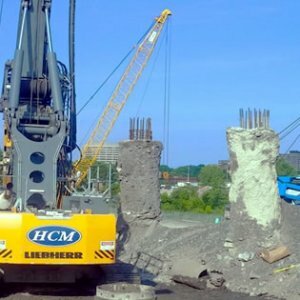 Reuse of existing piles provide a more cost-effective, sustainable, and efficient solution. 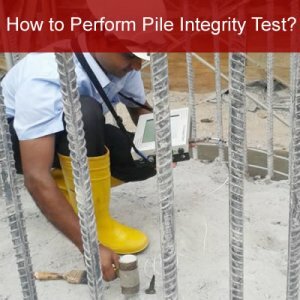 However, the reliability of piles and foundations should be evaluated prior to reuse of existing piles. + Pile and foundation remaining service life will fulfill the new structure requirement. The test method based on ASTM D5882 (Standard Test Method for Low Strain Impact Integrity Testing of Deep Foundations), generally referred to as Pile Integrity Testing (PIT), is mostly used for concrete piles with access to pile head and top surface. The test results can be used for evaluation of the pile cross-sectional area and length, the pile integrity and continuity, as well as consistency of the pile material; It is noted that this evaluation practice is approximate. This entry was posted in Construction, Inspection and Evaluation, NDT, Piles and Foundations and tagged Concrete Pile, NDT. Bookmark the permalink. Thanks a lot for that valuable issue and that great and good work and effort. Does this approach applicable for all types of piles, bearing pile, friction pile, driven piles, and bored piles? I liked that you had mentioned that reusing what you can when piling can help a lot, I hadn’t thought about that. Recently I’ve been needing to fix a piling that I had done a while ago and while some of them would need to be removed and replaced, the option to reuse some of the other ones will save me a few dollars. I’ll start looking for a company to handle my pilings to make sure that I can have it as safe as possible.